Here at Mildmay Racing we are dedicated to ensuring that our horses find the right homes to ensure a happy and fulfilling life after racing. For various reasons not every thoroughbred is suited to a lengthy racing career and even the ones who are can successfully retire into a new discipline. Each horse is assessed individually so that when we advertise we are able to give as much information as possible and can find them a home that is best matched to the type of work they are suited to. Any injuries (if applicable) are disclosed and we ensure that the horses temperament and history are discussed at the initial stages so that we can feel confident that the prospective owner has the skills and experience necessary to offer a great home where our horses can flourish. All of our horses come home after racing and are given a let-down period, this will usually be spent barefoot and turned out 24/7. We only begin the process of finding them a new home once we feel they have had sufficient time turned away. As much as we would love to re-start our retired race horses ourselves, we unfortunately do not have the staff available to do this here at Mildmay. This does however mean that when you buy an ex-racehorse from us you know that they have come straight from the track and are an entirely blank canvas when you begin their re-training. 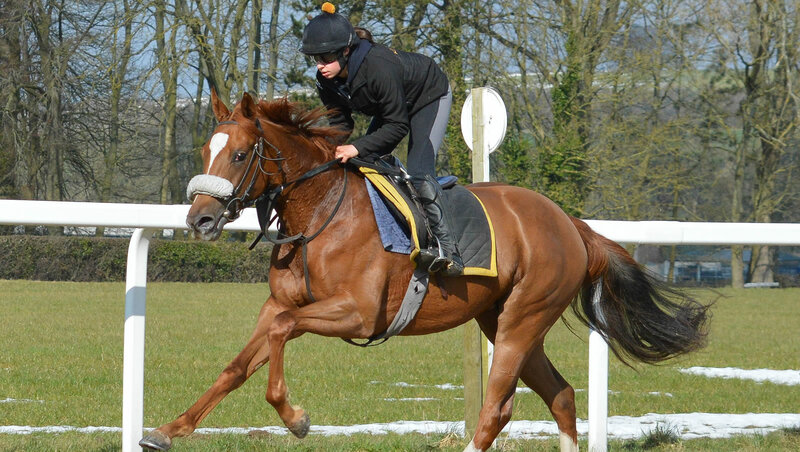 Any horses that we have for sale will be advertised here on our website so please check regularly for any updates. Former racehorses - 0 available for rehoming.